For those looking for the freedom of using a mesh mask but with more protection can look no further. The Version of 2 of the Half-Face Metal Mesh masks are here. Now extended to provide more coverage for your face, these mesh masks now cover your ears completely to protect them. As before these half-masks provide reliable protection from BB impacts from any distance and at the highest FPS you might find out on the field. Lightweight and extremely breathable, and adjustable to fit just about any head size these are perfect for any airsoft players out there. Pair this mask off with a set of goggles and never worry about getting your face pelted with BBs and even reduce fogging issues! 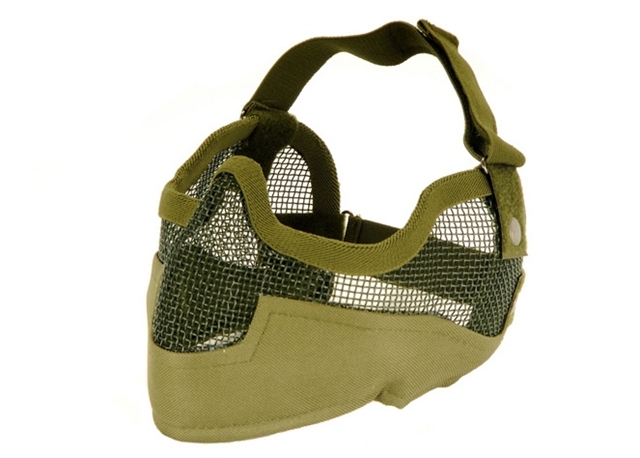 Available in a Olive Drab color for forest or jungle settings.